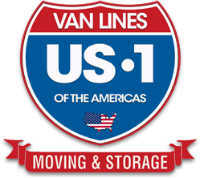 Any additional services the mover will provide: packing, storage, insurance, etc. The mover must supply you with a written contract and estimate as set forth in Chapter 507, Florida Statutes. Before you sign the contract and estimate, make sure you understand everything that is written on it. If you don’t understand something, ask! If you need help understanding the contract or estimate, don’t hesitate to ask a third party for an explanation (e.g., an attorney or a local consumer services organization). Before you move, check with your homeowners/renters insurance company to see if you are covered for damages or loss during a move by a professional moving company. If your policy does not provide coverage, ask your insurance company if it will provide a rider for an additional fee. If this is not possible, speak with your moving professional about valuation coverage it provides and if additional insurance services are available for an additional fee. PMAF member companies have agreed to provide adequate insurance coverage for their customers’ goods. Member companies meet or exceed the guidelines set forth under Chapter 507, Florida Statutes. Movers are required to disclose the limit of liability insurance they provide (based on weight of goods) and to give you the opportunity to select or reject additional coverage based on the value of the goods being transported. Remember, these simple things can make your move go smoothly. Plan well in advance, be well informed, ask questions, understand the answers, and choose a Professional Mover!